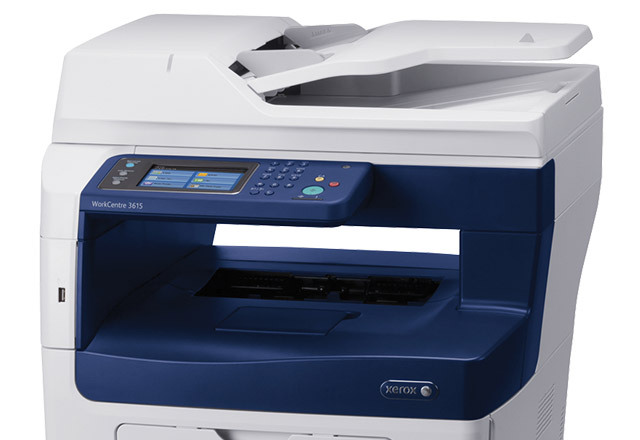 The WorkCentre 3615 combines the functions of a copier, printer, scanner and fax machine into a single value-packed unit that can generate savings on energy and supplies costs. 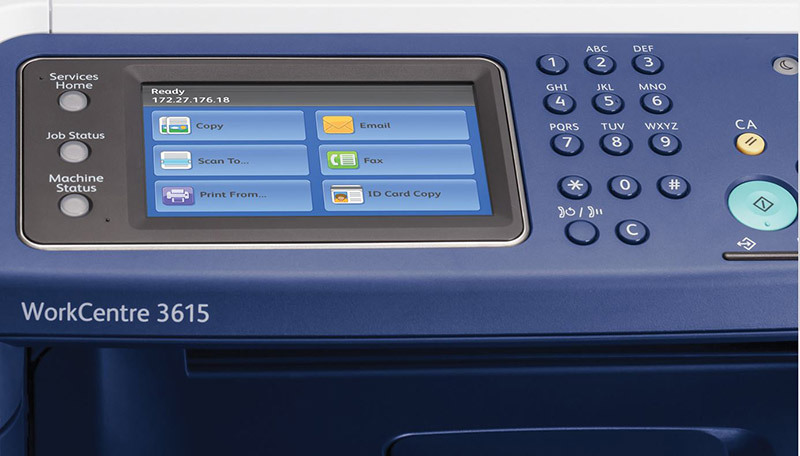 With the WorkCentre 3615 legal-sized platen, you can scan larger pages without disassembling your bound documents. 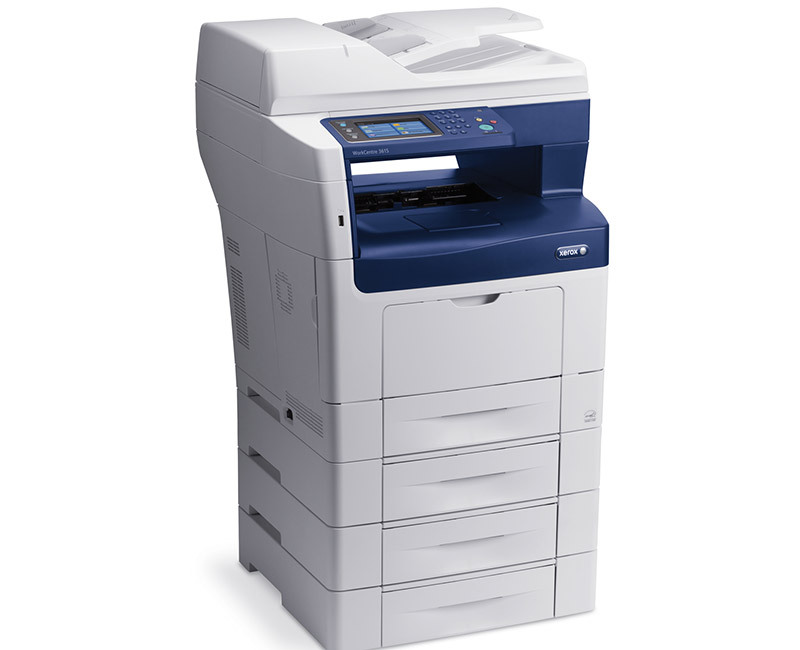 Add definition and clarity to your documents with true print resolution of up to 1200 x 1200 dpi. 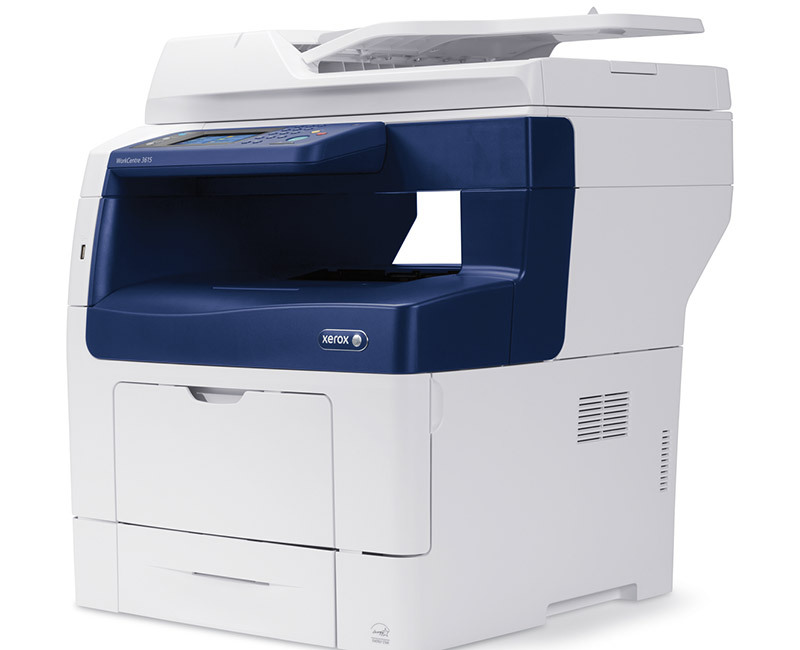 Your printed communications never looked better.